The Highly sustainable product that can directly contribute points towards your LEED's Certification. 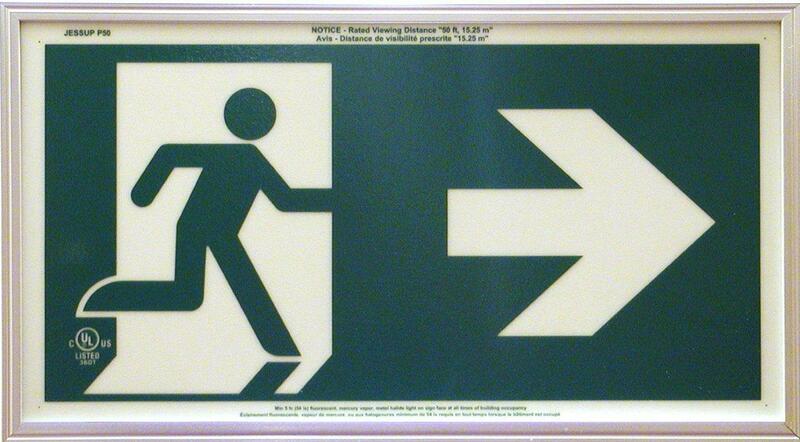 How do PLM Exit Signs work without wiring or batteries? 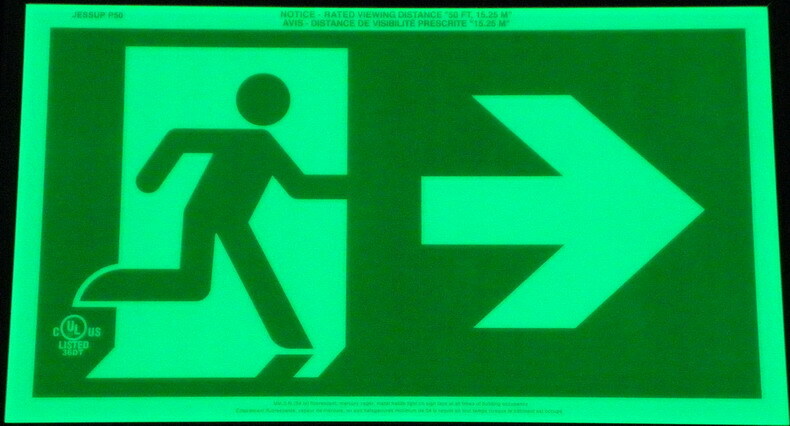 PhotoLuminescent Material (PLM) Exit signs absorb and store light that originates from daylight, or from artificial light sources such as fluorescent, metal halide, high pressure sodium, or mercury vapour. During an emergency power failure or smoky conditions, our PLM signs glow brightly showing the best pathway to the outside. These signs are cUL Listed for use in U.S.A. and CANADA. Signs must be exposed to 5 Fc or 11 LUX illumination to charge. PLM is not to be mistaken with RadioLuminescent Tritium that glows from the radioactive decay of hydrogen to helium. PLM uses a non-toxic, non-radioactive compound of strontium oxide aluminate to store ambient light energy and, when the light is removed, to GLOW for hours. This process continues, and our EXIT SIGNS are GUARANTEED for 25 years. 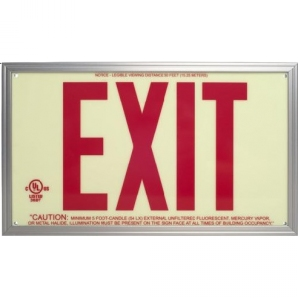 The commercial buildings industry seeking sustainable designs will find PL exit signs to be the clear choice over radioactive tritium signs and electrically powered LED signs. Always visible showing the egress openings. will ever be needed again. Dimensions: Approx: 43 CM x 25.5 CM.